Thanks for the review! I think I’ll wait til what I hope will be the inevitable “Generation” expansion. First I just want to say that I am a big fan of your games. I discovered your original ‘Date Ariane’ on a games website about 4 or so years ago and have been a fan ever since. Normally I tend not to comment on blogs or websites, however I am such a huge fan of the Sims that I felt that I had to. I have played all the Sims games from the first base model up to the latest expansion pack for number 3 and I have been nothing but impressed. The way they add so much with the expansions to an already fantastic base game always surprises me. I keep expecting to buy an expansion for the Sims 3 and be disappointed yet each time I start up the game I say “yep, they’ve done it again” and they have always managed to deliver. Sims 4 however was a monumental flop and I would say the biggest step backwards that any game franchise has ever made. If 4 had come out just after 2 you may say they had made some advances but to go from what they had in 3 and then to this was appalling. 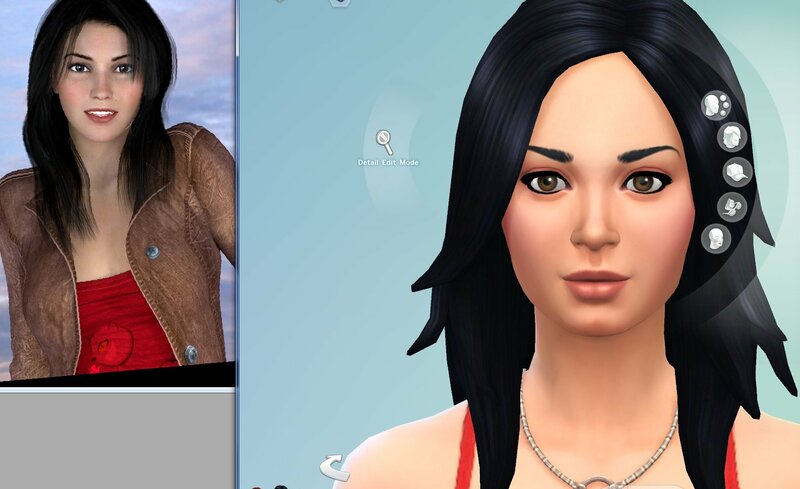 I know you say you didn’t play the Sims 3 but I recommend you do so you can see the massive step backwards it was. I wont go into too much detail but I’ll just give you a quick overview. In the Sims 3 you had an entire town that your Sims could walk around. If you wanted to see your neighbour you walked round to their front door and knocked. If you wanted to go and buy a book you jumped in the car and drove to the store. If you wanted to watch a movie you could hop on your bike and ride there. In 4 if you want to go to your neighbour you click on their house, go to a ‘Loading’ screen and then your there. You want to go to the shops you have to go to map view, click on the shops section, go to another ‘Loading’ screen and then continue. Seriously it’s 2014, why do they have loading screens? Sims 3 didn’t and they had huge maps. I can walk across the fictional land of Skyrim (out in 2011) in a few hours and not encounter a ‘loading’ screen. I drive across Los Santos (GTA5) which is essentially LA and have no loading required. Why have EA not allowed you to walk to your neighbour? Especially since in the Sims 3 you could. This is my biggest gripe with it. You mention the graphics being good but to be honest they aren’t really. If you compare it to gams such as Skyrim, Watch Dogs or FIFA 15 (same company) the graphics are appalling. In watchdog if the wind blows your character’s coat moves and his hair gets messed up. The Sims still looks like Lego hair and cardboard clothes. In FIFA 15 if a footballer runs into another they get knocked over or pushed out the way. I had two Sims talking on the sofa and their arms kept going through each other. Why? Things like this are almost completely removed from games now. In the FIFA games (and a couple of other EA sports games) you can take a photo of your face, map it out and have a half decent 3D, CGI representation of your face. I have done this and attached it to a character in FIFA and it looks like I’m playing in the game (cheap thrills but it is quite fun). EA have this technology yet why hasn’t it been applied to the Sims? This would be fantastic, take pictures of you, your friends, family etc. and have very accurate representations to put in game. Also why are all the Sims the same height? I’m around 5’6″ but my best friend is 6’1″. Very different heights yet we are the same in the Sims. Why was this never explored? I feel there was so much that the Sims 4 could have done with the technology that’s out there and the way it could have moved forward from the Sims 3. It just didn’t deliver on anything. I’ll admit the mood thing is quite different and the multi-tasking is ok but these are very small steps forwards for what is a huge step back. As I say I know you haven’t played the Sims 3 but I would say give it a try. It’s by far the best Sims game out there and so different to 2 & 4. The gap between 2 & 3 is huge. 4 is closer to 2 and a massive disappointment. The Sims for me has lost it. EA have seen the money that the Sims 3 brought in and they have decided to cash in on it. Things like swimming pools. In Sims 2 & 3 (and I think 1 as well) swimming pools were in the base model. We know they can do it so when there were no swimming pools in the Sims 4 I was surprised. Then I realised that EA were most likely going to make swimming pools an add on as they know so many people, who have got used to pools in the last 3 games, will snap it up and pay for it. Unfortunately, for me, this money grabbing attitude and simple lack of care, attention or progress to the Sims 4 has given EA one less fan now. All in all I would say that the Sims 4 is a massive disappointment. However I think that you have to go along way to beat the Sims 3. I just wondered what you thought about this and what you think they could have done.